Thom said: It does what all good audio gear should: It gets out of the way and lets the music pour forth. It’s a component any vinyl-playing audiophile will appreciate, and at $249, it’s a steal. 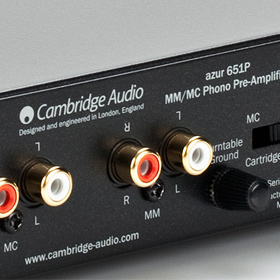 If you’re looking to add vinyl capability to your system, listen to an Azur 651P. You can’t do better at anywhere near its price. The gist: Cheap way to get into good-sounding vinyl.